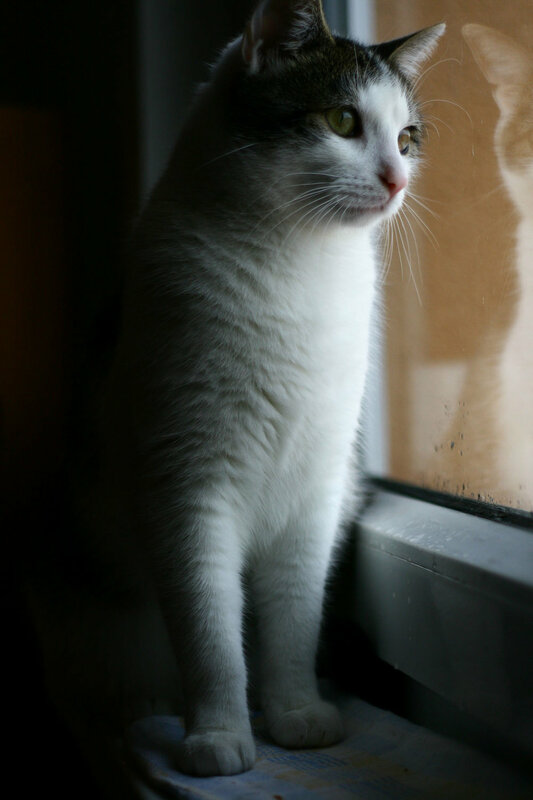 We understand that people feel very strongly about letting their cats roam freely or keeping them indoors. The decision comes from a place of love and wanting what is best for their cat. Those who let their cats roam freely want to allow them to ‘just be cats’. Those who keep them indoors are concerned about many perils including diseases, parasites, cars, poisoning, coyotes, and simply getting lost. If you feel your current cat isn’t a candidate for the indoor lifestyle, consider reducing their time outside, especially when birds are nesting and fledging. Read tips like the links here to empower you and assist in a transition to the indoors. Each step adds up and helps. Lost cat signs are common sites throughout our city, and with each one comes a sense of preventable loss. If this has happened to you, you may already be thinking about keeping your next cat indoors. Perhaps you’ve attended one of our Catio Tours, or have been following recent reports on domestic cats' devastating impact on urban wildlife, and have been inspired to try giving your cat a new indoor lease on life. Cat overpopulation can be reduced with your help! The first step, and most important to a successful transition, is to spay/neuter your cat. Next, consider alternatives to letting your cat roam freely, unsupervised. You'll have the most success if you gradually transition your cat indoors until their new way of life becomes second nature. Be prepared for a little lashing out against the new lifestyle — scratching at doors, clawing at windows, yowling, trying various escape tactics, and other feline performances. Start with baby steps, like always feeding your cat indoors. For the feline escape artist that's forever bolting toward open doors, train or lure them away from the open door. Run practice trials where you leave the door ajar and rattle a jar of coins to startle them. The goal is not to punish the cat but to associate the door with something unpleasant. Toys that allow your cat to express instincts such as stalking, chasing, and pouncing. Even simple items like a bottle cap can provide endless entertainment. An indoor planter containing feline favorites such as catnip and wheat grass for them to chew. Train him to walk on a cat harness and leash, and take him for a stroll. Give her lots of your time and attention — set aside daily play time. Consider building a catio — a fully-enclosed outdoor cat-patio — attached to the house where your cat can enjoy the outdoors. Ultimately, do your best not to give in to their requests to go out, and distract them with play. Be patient and confident and know this could take one to two months of dedicated effort with the reward of many years of health and safety. As one out of every four common bird species faces serious population declines, help us keep common birds 'common' by decreasing the human-caused hazards they face. Even small steps toward keeping your cat indoors can make a positive impact.